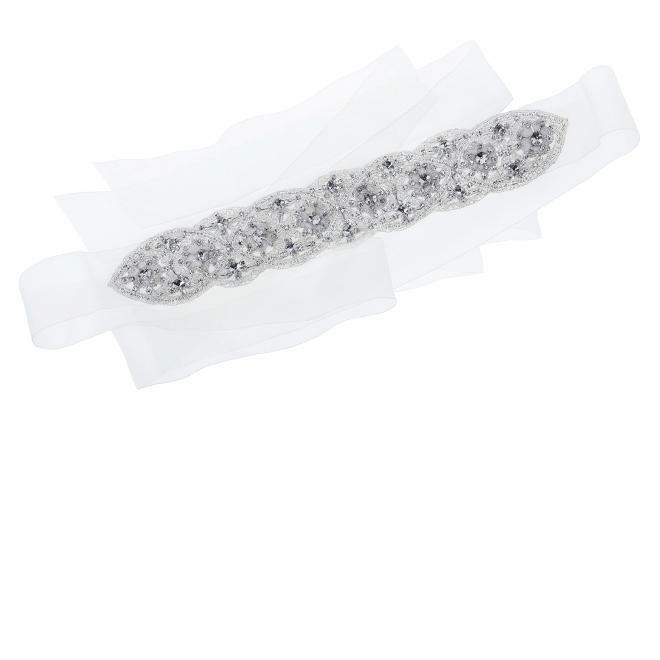 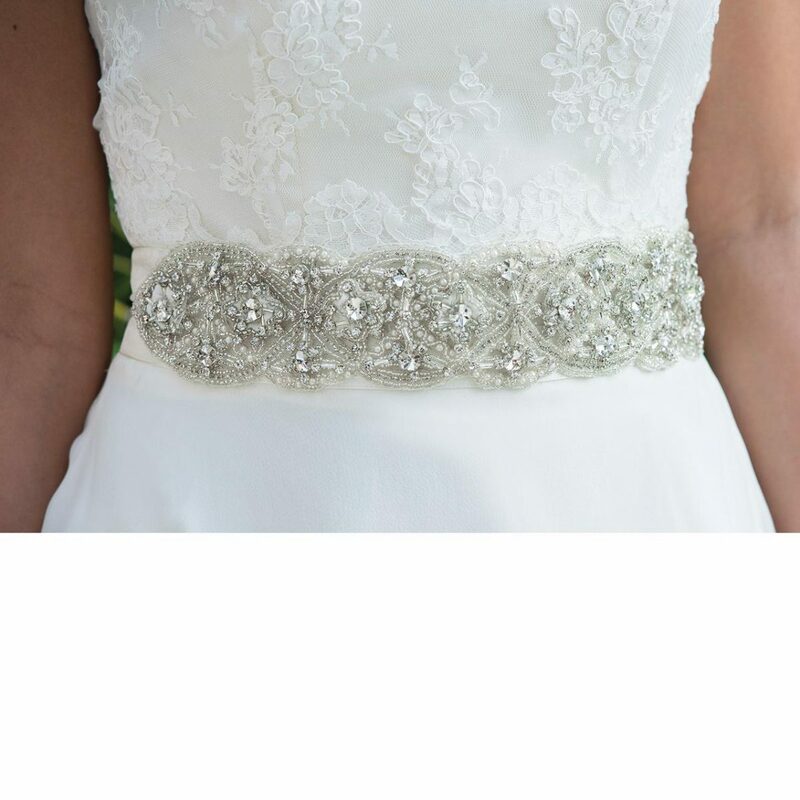 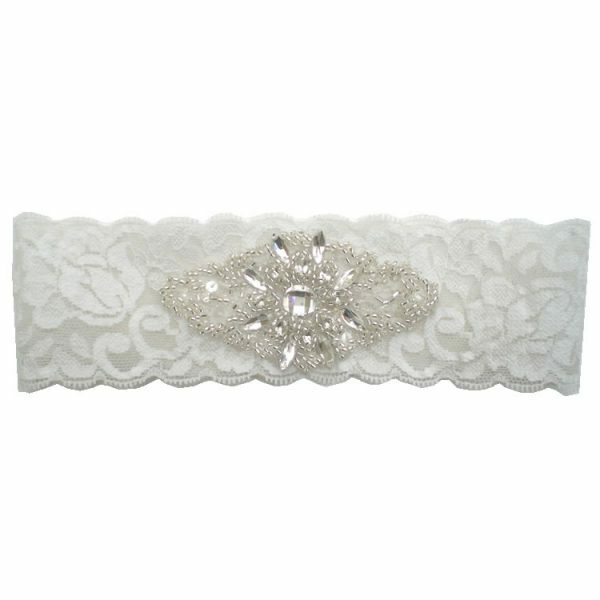 Ivory and Co Virginia Crystal Bridal Sash / Wedding Belt – The perfect sash to add to your dress completely eyecatching on a beautiful organza. 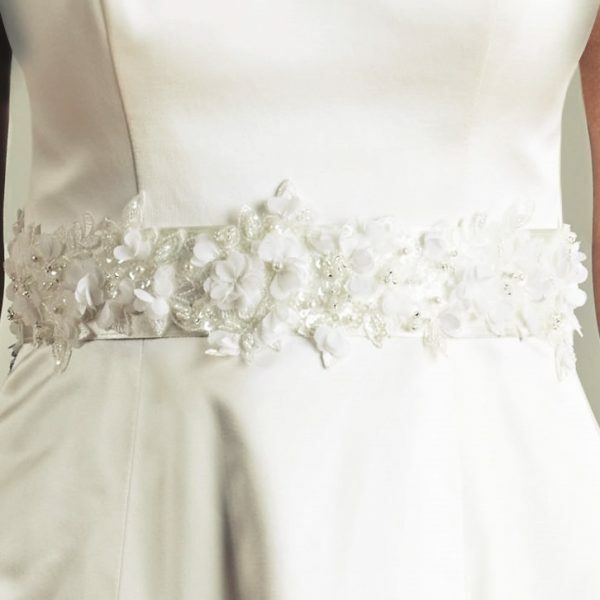 A vintage inspired mix of silver with Swarovski crystal detailing is set in a flowing floral design adding that element of sparkle and fairytale finish to any dress with simple elegant styling! 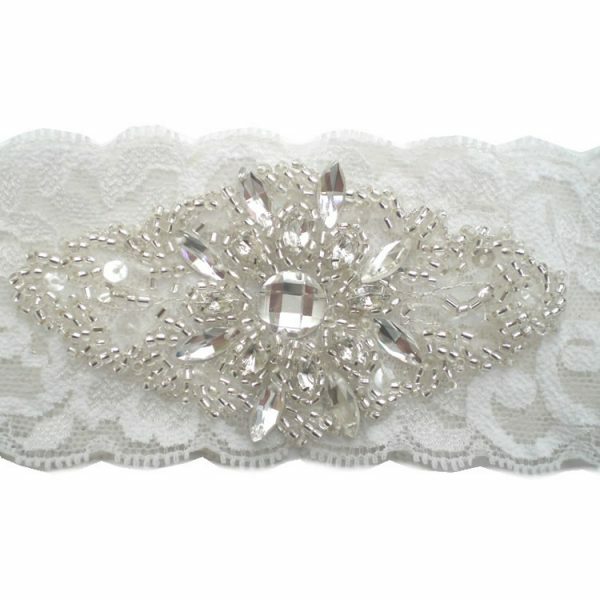 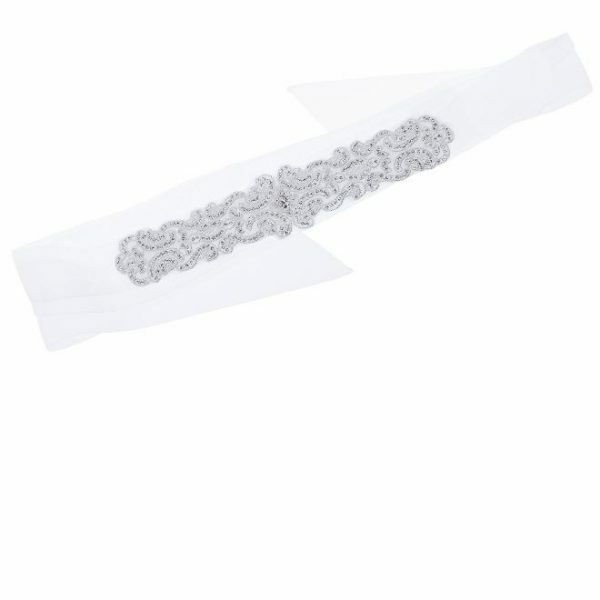 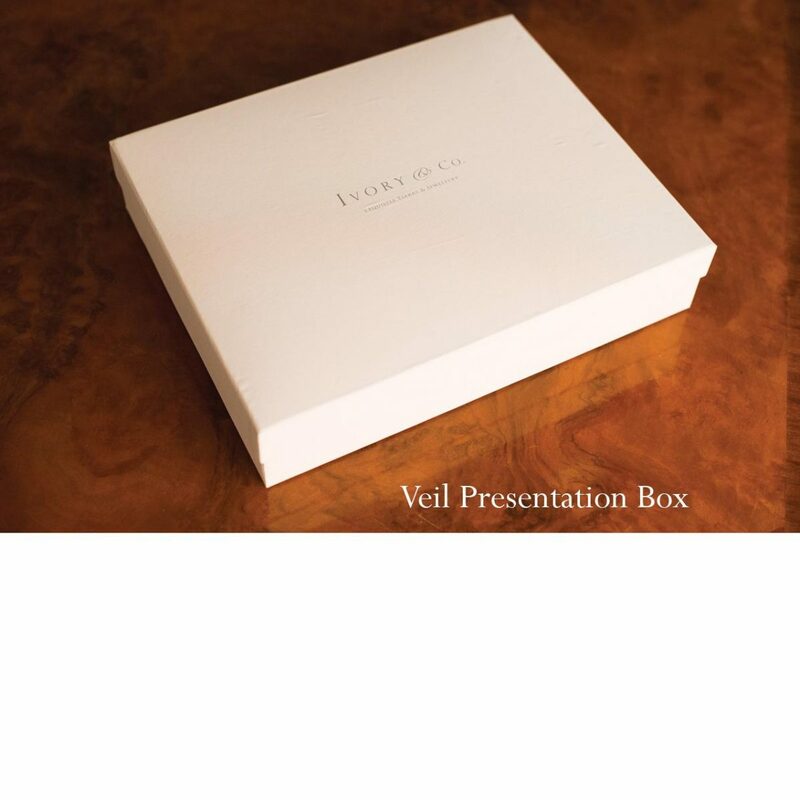 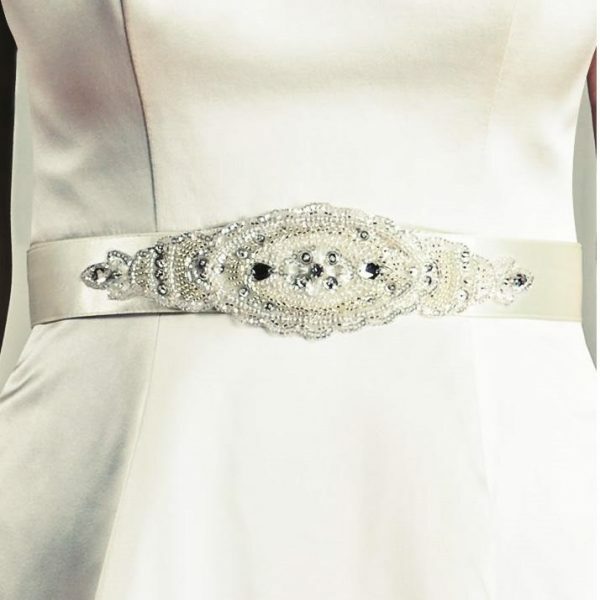 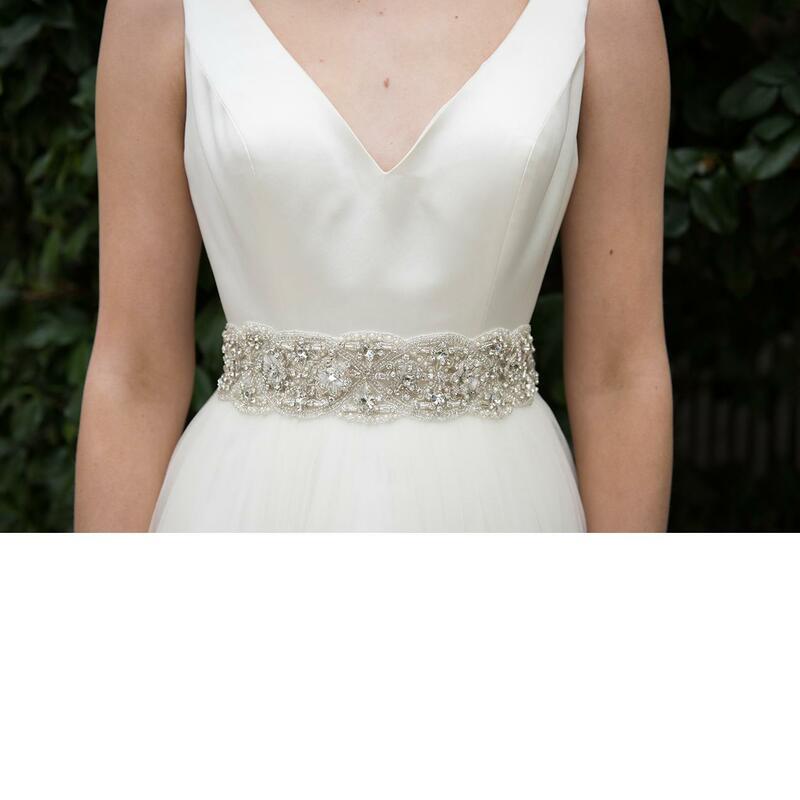 Bridal belts are perfect to enhance and add wow factor to a simple bridal gown. 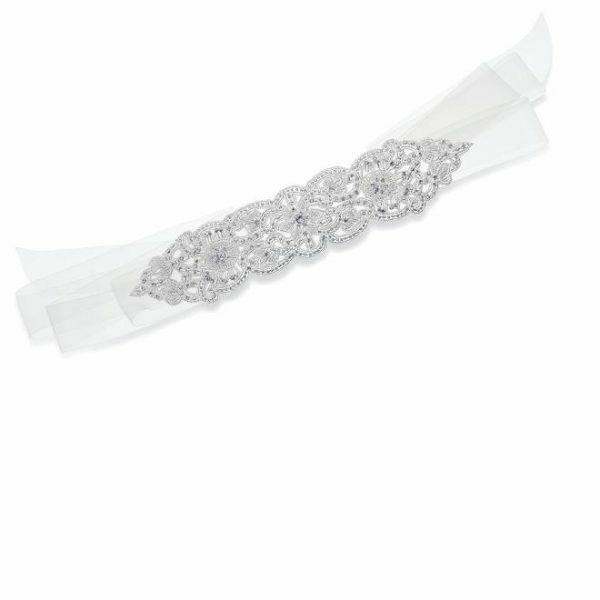 This glamourous and elegant sash is a statement piece designed with detailing across the centre of the belt to add the ultimate sparkle!